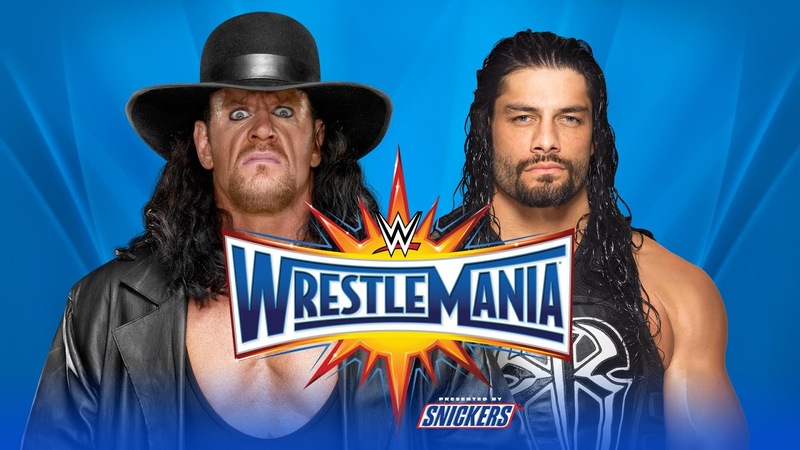 After weeks of speculating, it's been confirmed, the Undertaker will face Roman Reigns at WrestleMania 33 in Orlando. Many fans are likely crapping on this idea as the "dream match" at this point for the Undertaker at Mania is to face John Cena. Even though the Streak was broken three years ago, the WWE continues to sell the Undertaker's WrestleMania matches as important. The matches are typically one of the feature bouts at Mania, perhaps the most recent exception being against Bray Wyatt. Am I excited for this match? I'm indifferent to Reigns, and the fans will be the interesting factor here. I suspect he'll get booed louder than he has in recent months as he faces one of the iconic Superstars in the history of the company. 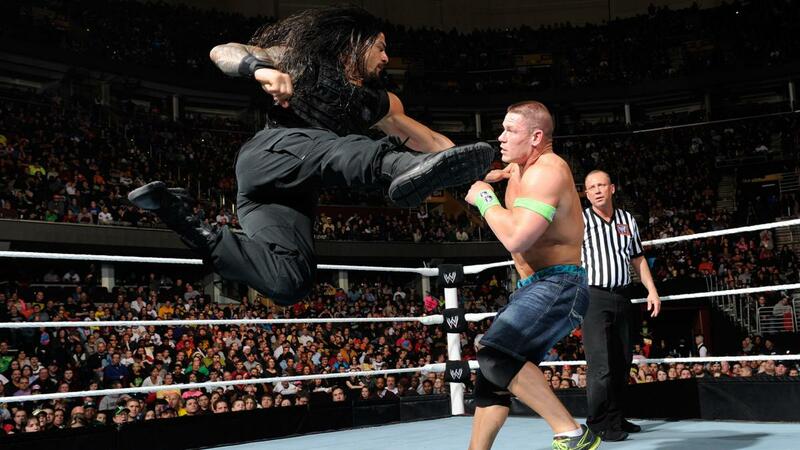 Considering the options, if they're not going to do Cena-Undertaker, Reigns is the next best option at this point. I still don't think Braun Strowman is a credible opponent for 'Taker. But should we care about any of Undertaker's matches anymore since the Streak ended in 2014? I'm inclined to think not, but there's still that nostalgia that still seems to be there. Chad says he can see Roman winning and going on to battle Brock Lesnar for the Universal Championship as the only two Superstars to hold WrestleMania victories over The Dead Man. 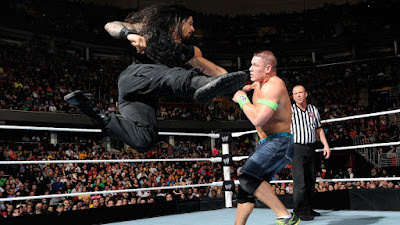 While I don't want to see that down the road, I wouldn't be surprised and it would be a logical way to bring Reigns back into the title hunt. However, I'm still of the belief the Streak should have never ended. But the way they had built up Lesnar in 2014, it made sense. Time will tell. Enjoy the ride. I really don't think Roman Reigns is that bad as a Superstar. But WWE should listen to the fans like they did with Rocky Maivia, Randy Orton and Daniel Bryan. 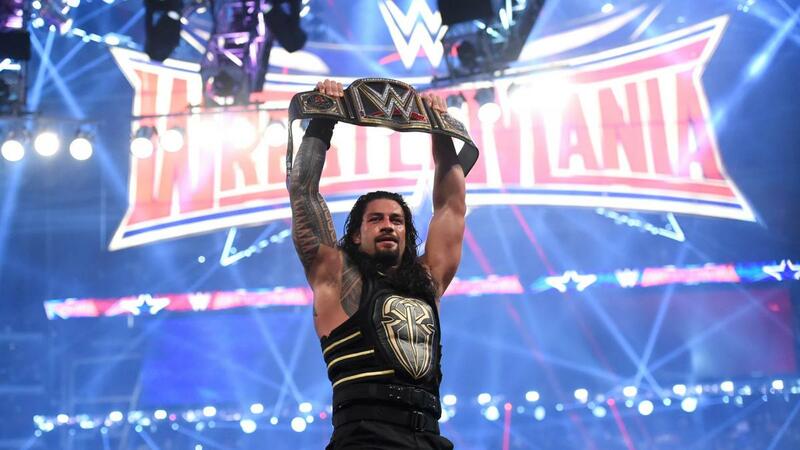 Doing so could turn Reigns into a MEGA Superstar.